Immortal have fallen on some particularly hard times of late. “All Shall Fall”, the supposed grand return to form, is almost a decade behind us. “Blizzard Beasts”, far from Immortal's finest hour, dates all the way back to 1997. When severe tendinitis sidelined Demonaz, frontman Abbath switched to guitar and bassists here hired. 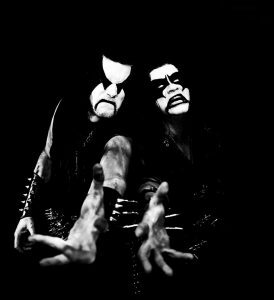 While there’s no denying that Immortal grew in profile during Abbath’s creative reign his records seldom captured the spirit of the classic trilogy of “Diabolical Fullmoon Mysticism”, “Pure Holocaust”, and the uniformly barbaric “Battles In the North”. Now that Abbath is out of the picture, Demonaz (always the more level-headed of the duo) is free to restore Immortal to its former glory. “Northern Chaos Gods” is the album that should have immediately followed the abysmally produced wimper “Blizzard Beasts”. 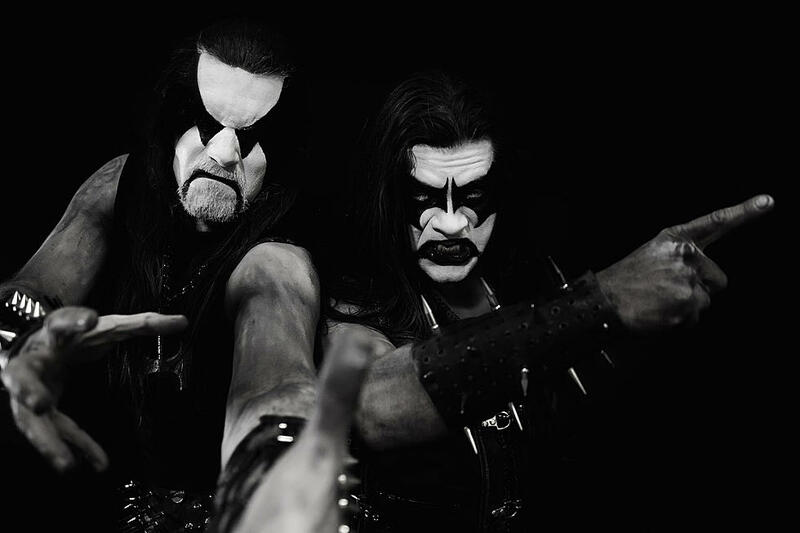 Has Demonaz been able to shake off the rust and creative stasis of Abbath’s decade-long reign and steer Immortal back to relevance? Judging by “Northern Chaos Gods” the best is yet to come for the Hordaland horde. The last couple of years have been turbulent to say the least. 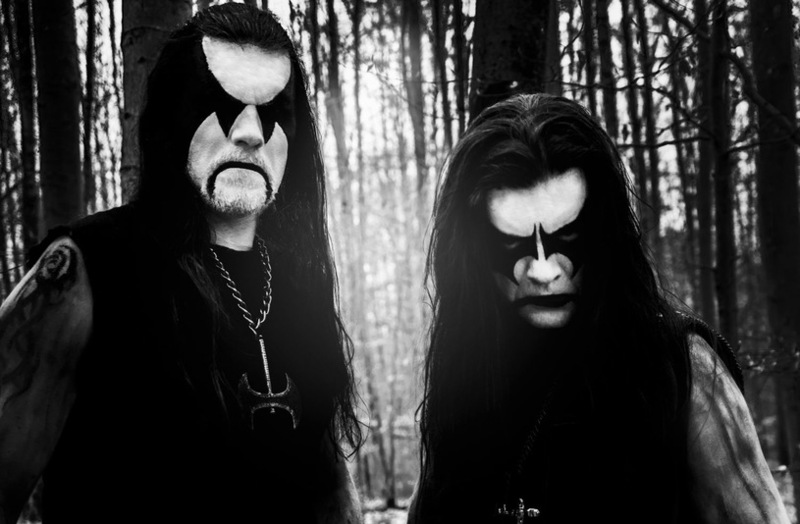 In 2015 long simmering personal – and creative differences finally came to a boil prompting iconic frontman (and multi-instrumentalist) Abbath Doom Occulta to branch out on his own, taking with him an album’s worth of song material, and soon the cursed realm of Blashyrkh formed the arena for the two opposing factions to battle out their legal differences in court. Abbath formulated a solo project simply called Abbath and released called (what else?) “Abbath”. Not that we’d expect anything different from Abbath. Abbath is Abbath with all the good and bad that entails. Precious few bands can survive the loss of a beloved frontman and even fewer can come back stronger and more focused than before. That seems to have happened with Immortal. Demonaz and Horgh have duly regrouped as a duo with Demonaz taking up the vocal mantle. For the first time in over two decades Demonaz can be heard playing guitar again, after undergoing surgery in 2013. Reidar Horghagen remains one of the genre’s most criminally underrated drummers and “Northern Chaos Gods” brims with the sort of fury and aggression many believed Immortal no longer had left in them. “Northern Chaos Gods” is the unbridled force of two men hellbent on reclaiming their former glory. 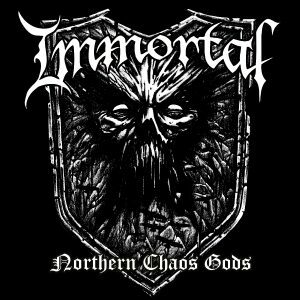 Immortal hasn’t sounded this hellish and icy in a long, long time – or at least not since “Battles In the North”. Unlike some of its brethren Immortal never experimented with left-of-field influences nor did they stray too far from their original template. However that doesn’t mean there weren’t distinct phases in band’s multiple-decade career. “Diabolical Fullmoon Mysticism” is as much of an early death metal record as it was an early black metal offering. For the most part it was a continuation of what Old Funeral did before them. On “Pure Holocaust” and especially “Battles In the North” Immortal came into its own and “Blizzard Beasts”, demo production notwithstanding, pushed the Holocaust Metal (or Norsecore) sound as far as it possibly could while simultaneously worshipping at the altar of Morbid Angel (“Altars Of Madness” and “Covenant” in particular). Perhaps it’s nostalgia talking, but “Northern Chaos Gods” (was somebody listening to Centurian during pre-production?) is the closest to “Pure Holocaust” Immortal has sounded in decades. It combines the unflinching barbarism of “Battles In the North” with the straighforward intensity of “Blizzard Beasts”. The title track was released as an advance single ahead of the album and bursts with the kind of ravenous bloodlust and vitriol Immortal hasn’t showcased since “Battles In the North”. ‘Into Battle Ride’ is what “Blizzard Beasts” should have sounded like. ‘Grim and Dark’ and ‘Called to Ice’ sound like vintage “Pure Holocaust” cuts. ‘Gates to Blashyrkh’ and ‘Where Mountains Rise’ is a callback to ‘A Perfect Vision Of the Rising Northland’, ‘Blashyrkh (Mighty Ravendark)’ and ‘Mountains Of Might’. 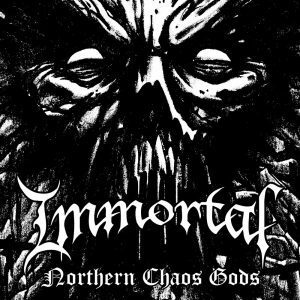 There’s a point to be made that “Northern Chaos Gods” might be a little too much of a throwback to the hallowed trilogy, but it’s also the strongest product Immortal has lend its name to in years. Is there reason for excitement with “Northern Chaos Gods”? Most certainly. Immortal hasn’t sounded this icy and lethal in a long, long time. Demonaz can still pull off an epic sounding solo and Horgh can compete with any young drummer as far as intensity and blasts is concerned. The monochrome artwork and self-referential songtitles as ‘The Gates Of Blashyrkh’, ‘Grim and Dark’ and ‘Mighty Ravendark’ might not exactly burst with creativity, but “Northern Chaos Gods” – at least on the musical end of things – is a good first step in restoring the band to its former glory. Despite, or rather in spite of, its immediacy and breakneck pace is “Northern Chaos Gods” in no hurry to forward or expand upon the Blashyrkh concept, and some of the lyrics almost too obviously recycle songtitles and even entire passages from beloved band staples. Which doesn’t mean that “Northern Chaos Gods” isn’t enjoyable exactly for what it is. Considering the turmoil and tribulations Immortal faced over the last years it’s nothing short of breathtaking that they could summon something this incendiary so late in their career. It’s not exactly a great creative renaissance, or a grand reinvention of the duo’s vintage Holocaust Metal sound, in fact it’s exactly the opposite. “Northern Chaos Gods” is regressive in exactly the right ways. It’s certainly no new classic but what it does conclusively prove is that Demonaz was the silent force on the band’s early records. It’s unbelieveable enough that more than twenty years after their last good record Immortal is able to conjure up such fury and rekindle the flame of inspiration that spawned essential genre records as “Pure Holocaust” and “Battles In the North”. Demonaz still worships at the altar of Bathory’s “Blood Fire Death” and if the venom is anything to go by he was none too pleased with Abbath taking the band into more populist realms. Is it Immortal’s much pined after return to form? Maybe. Maybe not. “Northern Chaos Gods” is just a tad too regressive and self-referential for that. It does conclusively prove that Demonaz is perfectly able to hold his own without Abbath leading the charge. The sterile Peter Tägtgren production once again proves why he is loathed in purist circles. The monochrome artwork from Jannicke Wiese-Hansen (who designed the original and vastly superior Immortal logo, conspicuously absent here) recreates the Pär Olofsson rendering for “All Shall Fall”. Interestingly it’s only the second Immortal album (1999’s “At the Heart Of Winter” preceding it) not to have a band picture for cover art. The more things change, the more they stay the same. In other words, everything is well in the grim and frostbitten kingdoms of Blashyrkh. It seems that Immortal needed to get rid of Abbath to return to the essence of what made them popular in the first place. In the twenty-plus years since “Blizzard Beasts”, the not-so-glorious closing chapter of their unsurpassed and rightly revered Holocaust Metal era, a lot has happened in the Immortal camp. They released three albums of more readily accessible epic sounding black/thrash metal with “At the Heart Of Winter” (1999), “Damned In Black” (2000) and “Sons Of Northern Darkness” (2002) that broke them to a massive audience. After a seven year hiatus Immortal returned with the prophetically titled and fantastically overhyped “All Shall Fall” – after which they collapsed amidst personal – and creative differences. In 2014 frontman Abbath left the project in acrimony with the usual aggrieved accusations and lawsuits following suit. 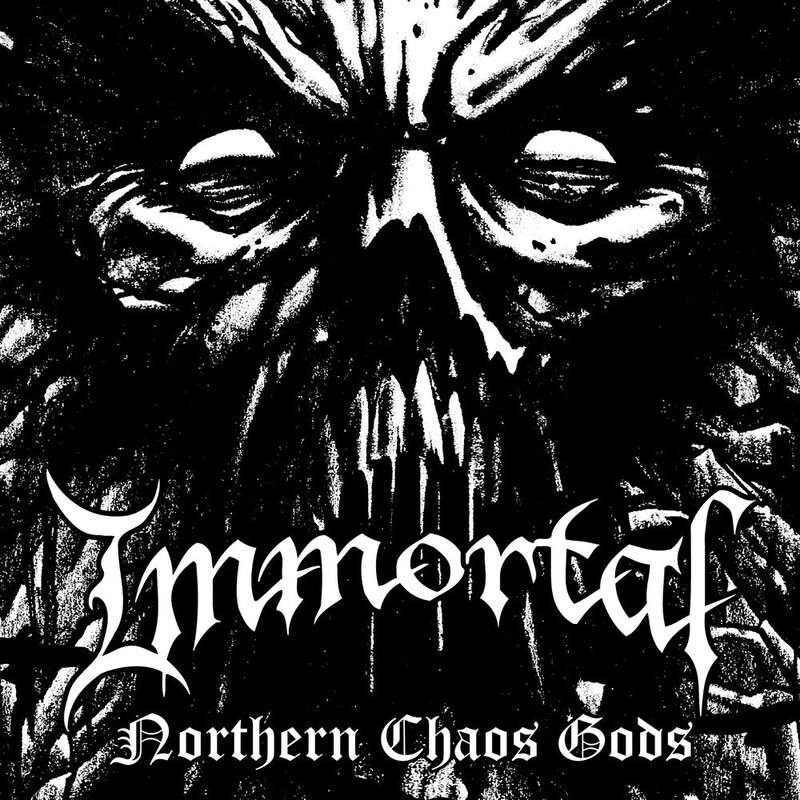 Now, a decade after “All Shall Fall”, Immortal (sans Abbath) returns with the “Northern Chaos Gods” 7” vinyl single, a precursor to the album of the same name. Even without their most recognizable member (whose solo venture wasn’t a grand creative renaissance either) a fire has been lit under sole original member Demonaz and long-time drummer Reidar Horghagen. “Northern Chaos Gods” is lean, mean and the most hungry and combative the duo have sounded in years. 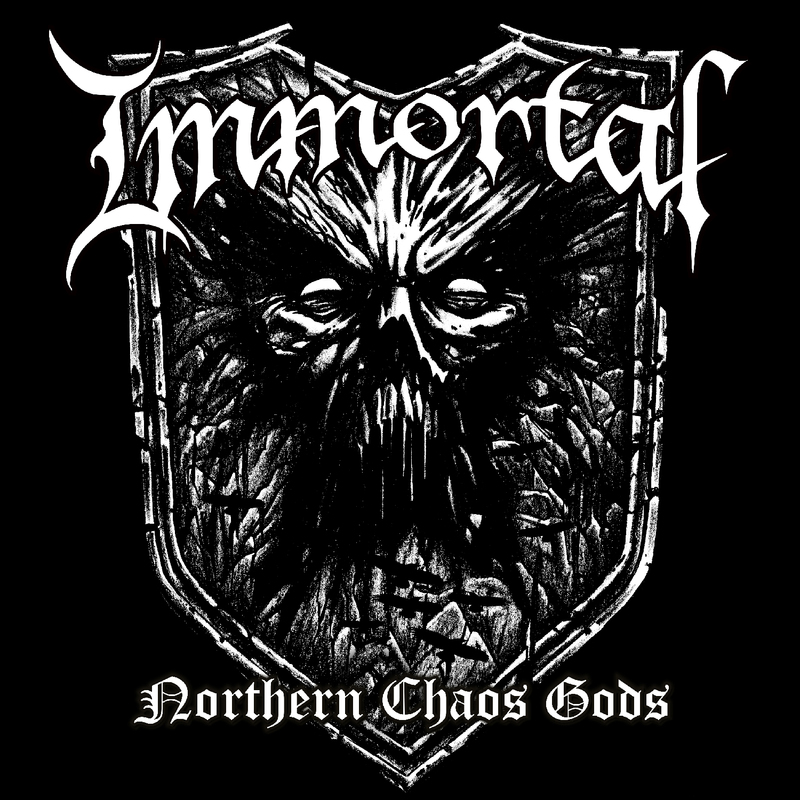 As an isolated track it’s nigh on impossible, not to mention misleading at the very least, to gauge how much “Northern Chaos Gods” represents the album it is preceding. In isolation it is indeed an impressive slice of icy Northern wintercold that Immortal used to masters at. The lyrics, steeped in the usual Blashyrkh fantasy imagery, are a thinly-veiled jab at their former frontman and clearly both Demonaz and Horgh have a bone to pick with him. The duo has since gone on record stating that “Northern Chaos Gods”, both single and album, is “the first step in the reclaiming of our past grimness and attitude.” The veracity of that statement will become clear once the record has been released. As of now, we’re very reservedly optimistic about Immortal reclaiming at least a fraction of their old sound and character, hence our coverage of their discography halting after the meager “Blizzard Beasts”. While Immortal’s chaotic beginnings with “Diabolical Fullmoon Mysticism” were a stylistic continuation of the duo’s work with Old Funeral, it was on “Pure Holocaust” and, more importantly, the utterly barbaric “Battles In the North” that Immortal truly came into its own. The “Northern Chaos Gods” single is apparently painfully aware of that fact and is hellbent on rekindling the spirit of those albums. In other words, “Northern Chaos Gods” is the most bestial and violent Immortal has sounded in many, many years. Demonaz’ serpentine shrieks and rasps recall some of the band’s earliest work and the riffing as well as the solo is the closest we’re likely to come to a recreation or reimaging of their landmark third offering “Battles In the North”. After twenty plus years a band is bound to repeat itself and the lyrics for the single reference ‘under the banner of Blashyrkh we ride’ from the title track of “Battles In the North” as well as the ‘kings of the ravenrealm’ from “Blashyrkh (Mighty Ravendark)” from the same session as well as name-checking “Sons Of Northern Darkness”. In the best scenario, this single could potentially be a positive omen. However that doesn’t mean that there isn’t laziness abound. Songtitles as ‘The Gates Of Blashyrkh’, ‘Grim and Dark’ and ‘Mighty Ravendark’ don’t inspire a lot of confidence, but crazier things have happened. The artwork for the single is an outtake of a larger canvas used for the full length release. Artwork that we haste to mention is nothing short of a monochrome xeroxing from the Pär Olofsson digital rendering used on “All Shall Fall” released some ten years prior. It’s virtually unfathomable that Demonaz and Horghagen weren’t able to allocate proper artwork for an album that was several years in the making. It’s an affront to good taste and sensibility that Nuclear Blast Records saw nothing wrong with such an obvious and advanced level of recycling of past assets. As per the expected Nuclear Blast standard the duo convened at Abyss Studio in Ludvika, Sweden with Peter Tägtgren not only producing, but also providing session bass guitar. Tägtgren, of course, is no stranger to black metal as he headed up the very shortlived but scorchingly excellent The Abyss studio project in the 1990s. Rather interestingly is that the original Immortal logo hasn’t been reinstated as you’d expect of an effort so desperately eager to recreate the magic of the past. Oh well… Next time maybe?